Play with the Mumbai Indians! 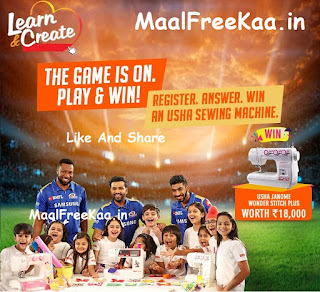 Watch the Usha MI video during the match & answer 3 simple questions. Mumbai Indians are all set to play on the fields and be in full swing. It is your time to live in the world of cricket and join the craziness and win exciting gifts. All you have to do is answer these three questions. Register & crack this quiz on every match day of Mumbai Indians. Lucky winners get a chance to win an exciting Usha Janome Wonder Stitch Plus Sewing Machine. 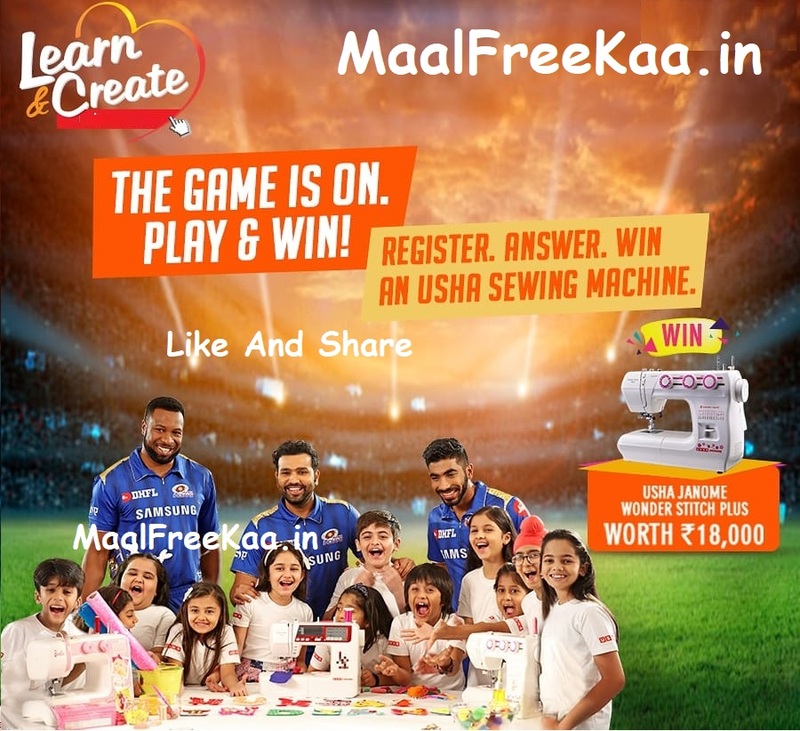 Usha invites you to be a part of the team and play with them. Now we are not talking about cricket so everybody is welcome. You can play regardless of your age and gender. Also there is no physical fitness test so relax. We want you to get playing right where you are comfortable, at home, on the way to work or school, in office anywhere actually. All you need to do is want to win. Lucky Winners get a chance to win an Usha Janome Wonder Stitch Plus Sewing Machine worth Rs. 18,000 We hope you are you excited and ready to take to the field. Well actually you will have to watch a Mumbai Indians match, view the Usha Mumbai Indians Video and then go online to play. This contest is on every time the Mumbai Indians take to the field. During every match we will screen the Usha Mumbai Indians video, you need to watch it and then answer three simple questions. The contest is on throughout the tournament. That means you have multiple chances to come out on top. All you need to do is come back to the site on match days and participate again. So keep playing till you win. All winners will be decided as soon as possible. We will look at all the entries and announce the name of every winner a day after the match. All winners will be contacted personally. The Winners names will also be announced on Facebook, Instagram or Twitter. So you can check there too. Note : Contest Live On Every Mumbai Indians Match.